A strong gut mucosa barrier is critical to a healthy gut. 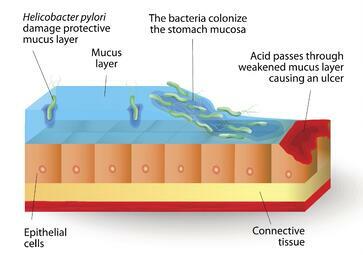 The mucosal barrier separates our gut lining from the billions of microbes in our gut & protects it from pathogens & harmful proteins. When the mucosa breaks down - it invites gut inflammation, infection and immune activation (1). Altered production of mucus, immunoglobulins, antimicrobial peptides, & other immune-modulators is a common finding of Inflammatory Bowel Disease (Crohn's and Ulcerative Colitis), Irritable Bowel Syndrome, and celiac disease (2; 3; 4). The same imbalance modulates diseases beyond the gut. For instance, diabetes is regulated by immune cells that live in the mucosal layer of the intestine (5). Chronic inflammation from mucosal damage fuels the progression of every major disease. Fixing the gut is a keystone strategy to improved health & quality of life. Below, I discuss common causes of mucosal dysfunction in the first place - and then outline the most common strategies used for repair. The first rule of healing the gut barrier is to keep it from being damaged in the first place. NSAIDs (ibuprofen or acetaminophen), alcohol, coffee, cigarettes, as well as intake of inflammatory and sugar-laden foods hurt the gut. Grains, legumes, and nuts hurt the gut too when not prepared appropriately. Traditional preparations such as soaking & sprouting nuts, legumes, and grains are best to reduce lectins and other compounds known to ease insults to the gut lining. These ingredients are also often stored in bins for long periods of time. Moisture, mold spores, or other microbial growth may contaminate even organic & otherwise healthy products. These microbes produce toxins & elicit immune responses that are also damaging to the gut. The harvesting of grains like wheat will also use gut-hurting compounds like glyphosphate ("Round-up"). Round-up recently made headlines as a man with terminal cancer was awarded $39 million, and Monsanto (now owned by Bayer) was fined $250 million after the ruling implicated glyphosphate as a cause of the man's disease. Glyphosphate helps dehydrate wheat before harvesting & eases the physical process of gathering the grain. Most non-organic wheat contains glyphosphate residues. Even if you're not gluten sensitive, or sensitive to the many other problematic proteins in wheat - you also need to contend with glyphosphate residue. Wheat is difficult to digest - over-consumption fatigues the gut & irritates the lining naturally - independent of an immune response. Non-celiac gluten sensitivity is also a clinical entity used to describe gluten-related symptoms in the absence of a conventional diagnosis. Dairy products are similarly inflammatory to the gut. Dairy contains lactose which is very difficult to digest after the age of two years old. We dramatically reduce our natural enzyme production responsible for breaking down lactose. Loosely speaking, milk is for babies - we are the only mammal that drinks the milk of another mammal. Dairy practices also reduce the enzymes naturally present in raw milk that would otherwise ease digestion. Cow milk may also contain additives, preservatives, & chemical residues from feed or antibiotics and hormones injected in cows to prevent infection & boost growth or milk production. Lactose intolerance is common in adults especially in individuals of African & Asian descent. Dairy is also commonly allergenic due to reactions to whey, casein, beta-lactoglobulin & other compounds in cow milk that can increase stress on the gut. Fermented hard cheeses tend to contain less of these proteins & can sometimes be added into a healthy diet with less trouble - while offering healthy fermentation byproducts too. In the short-term, allow the mucosa to heal & the immune system to calm before adding "allowed" dairy products back into the diet. Even those that are careful with dairy or gluten ingestion can still be exposed through cross-contamination at home, in shared kitchen spaces, & when eating out at restaurants. I use special digestive enzymes to help protect from these micro-exposures that can still have a detrimental effect on sensitive & intolerant individuals. I have used Gluten Manager by Integrative Therapeutics, Intolerance Complex by Enzyme Science, & Gluten-Dairy Digest by Pure Encapsulations to mitigate gluten & dairy exposures during the gut healing process. There are strategies to help soothe an irritated gut lining. Many botanicals or herbal extracts have mucus-like properties that help to coat the irritated mucosa. Aloe is one of the best-known home remedies for an irritated gut. Aloe is recognizably very mucus-like & for its "cooling" effect. It physically coats damaged areas of the lining, prevents future irritation - allowing healing to begin. Coating the gut lining also blocks the ability of pathogens to adhere to exposed areas - helping to reduce or manage infections. Aloe extracts also contain a wealth of plant chemicals that have antioxidant & balancing qualities. Use the oral gels short-term as they may create dependence on it as a laxative. For this reason, I generally stick to "aloe leaf extract" found in powders and capsules. Deglycyrrhizinated Licorice (DGL), Marshmallow root, Slippery Elm, Mastic gum, Mullein, Okra, and Comfrey also have mucus-like properties that aid in a coating & calming effect on the gut lining. Products like GI Revive by Designs for Health and GastroMend HP by Designs for Health combine a variety of these herbal extracts. Another strategy to promote healing is to reduce excess inflammation. Curcumin is a wonderful anti-inflammatory extract of turmeric - and is one of the most researched botanical extracts in the world. In addition to its anti-inflammatory properties, curcumin helps improve integrity of the gut lining & promote detoxification. I turn to it often for personal and professional use. I use Theracurmin HP by Integrative Therapeutics as it is the most bio-absorbable form of curcumin available - shown in 3rd party research to be 27x (2,700%) more absorbable than other versions. It is always my first-choice for curcumin supplementation. For long-term maintenance, I also use Curcumin BCM-95 by Progressive Labs - an alternative & well-absorbed form of curcumin (~7x more absorbable than other types). Meriva by Thorne is also a well-regarded form of curcumin. PEA+ by Enzyme Science combines Meriva with palmitoylethanolamide (PEA) to support stress and inflammation which has me excited for its potential - particularly for gut inflammation. Infections contribute to mucosal degradation in two ways. First, the virulence of an infection directly irritates the lining & escalates inflammation. Second, acute and chronic infections release toxins and byproducts that damage, inflame, and set off domino effects in other areas away from the site of infection. "Binding" up these toxins decreases virulence, assists in their removal, & opens a time-window for mucosal healing. Others immunoglobulins include IgG or IgM. Immunoglobulins are antibodies that bind to outside antigens (from food, infections, or human-made chemicals). Upon binding, the antibodies neutralize & help the immune system target the toxins for elimination. Natural immunoglobulins are often deficient in states of immune-compromise, chronic infection, & leaky gut. One of the earliest signs of leaky gut & gastrointestinal dysfunction is a deficiency of secretory immunoglobulin A (IgA). You can supply some of these immunoglobulins via oral supplement & help the body bind up harmful antigens and toxins. I use Mega IgG2000 and MegaMucosa by Microbiome Labs which supply dairy-free immunoglobulins to support mucosal health & inflammation. Other means of binding and digestion might include activated charcoal or proteolytic enzymes. Activated charcoal is a porous substance that "mops" up toxins. It also can bind up minerals too - so it's great for short-term use yet not ideal as a long-term option. Proteolytic enzymes help to physically digest up poorly digested proteins, damaged cells, as well as toxins & cell debris. Once broken down - they are not available to trigger inflammation or immune reactions in the body. I use Enzyme Defense Pro by Enzyme Science, MyoMend by Enzyme Science, or Interfase Plus by Klaire Labs. When taking proteolytic enzymes take them 30 minutes before a meal or two hours after eating so that the enzymes work systemically & are not used up by food digestion. The concept applies to infections and the gut. Infections can cause gut dysfunction. Gut dysfunction also creates an immune environment that invites infection. In either case, when an infection is present, it must be dealt with appropriately. A lingering infection delays & blocks healing from occurring. As I mentioned earlier, it's tough to rebuild something that is still smoldering. A hidden infection can be a cause of the smoldering. Here are a number of infections worth discussion when it comes to mucosal health in the gut. EBV infection can linger & reactivate chronically years after acute infection or exposure. EBV is in the same family of viruses as Herpes Simplex Virus (HSV1 or HSVII), Herpes zoster (Shingles), Cytomegalovirus (CMV) & others. All of these viruses share an "envelope" or "lipid capsule" as part of their viral structure. Lipid-coated viruses such as EBV are implicated in chronic disease, fatigue, & inflammation throughout the body - including the gut mucosa. EBV lives in your lymphocytes which are highly present in the gut-associated lymphoid tissue (GALT). It turns lymphocytes into a "zombie" like state where they stick around in the body much longer than intended. EBV also ramps up production of viral proteins that exert inflammatory effects on the body. EBV-infected lymphocytes may also initiate more inflammation than is necessary to take care of daily immune activities. As such, EBV contributes to autoimmunity & altered cell development. When inflamed by other infections at the same time (including Helicobacter pylori and others listed below) - EBV adds insult to injury. Monolaurin is known to break down the structure of viral envelopes. It may help suppress infection and minimize a virus' interaction with "co-infections." It is my first choice for natural anti-viral support. I use Lauricidin by Med-Chem Labs. H. pylori is prevalent in the Western world. High antibiotic use the US population may increase its incidence compared to other parts of the world. H. pylori may be a normal resident of the gastric flora with possible health benefits. It is OVERGROWTH of H. pylori that causes problems. H. pylori lives in the stomach wall - it produces chemicals that weaken & degrade mucosa. When overgrown - these H. pylori byproducts degrade a bigger patch of mucosa than the body can tolerate. Stomach acid now splashes on the exposed area - setting the stage for inflammation & gastric ulcers. Ulcers can be quite serious - especially if you combine an H. pylori infection with NSAID use (ibuprofen & acetaminophen) or other irritants. H. pylori overgrowth can become an active, smoldering fire that steals healing resources & fuels inflammation throughout the body. Monolaurin has also been shown in the lab to suppress H. pylori growth. Mastic gum is also a quite popular remedy. Medical treatment often uses "triple antibiotic therapy" to eradicate H. pylori. I've recently detailed probiotic support while taking antibiotics. Zinc carnosine appears to work alongside these therapies and improve results. I use Zinc Carnosine from Integrative Therapeutics. Gut dysbiosis promotes a bloom in fungal growth - especially Candida. Candida organisms have a cell wall instead of a cell membrane - they are not susceptible to antibiotics. Antifungals must be used. Fungal overgrowth complicates gut healing when not addressed properly. Candida produce byproducts that are toxic to us. The toxins contribute to inflammation, intestinal irritation, fatigue, altered thyroid activity, mental fog, & more. Monolaurin deserves mention yet again when it comes to Candida overgrowth. Candida "hides" from the immune system by producing biofilm. The biofilm creates an invisibility cloak - immune cells pass by the organism like it's not even there. Monolaurin breaks down this biofilm - allowing monolaurin to act on the organism. Disrupting biofilm also allows the immune system to "see" the Candida cells as they are brought out of hiding. Similar to the action of monolaurin, caprylic acid is a popular supplement used to suppress a broad array of fungal, yeast & mold growth. Lastly, undecylenic acid from castor bean supports a new anti-Candida mechanism. Yeast organisms like Candida will embed themselves into the lining of the intestines with root-like structures known as hyphae. Undecylenic acid has been shown to help dis-embed these roots and inhibit Candida growth. Microbiome Labs combined undecylenic acid with the wide antimicrobial properties of bee propolis (how bees keep their hives free of microbes) in a new formulation called MegaMycobalance. Mega Mycobalance be used in combination with monolaurin, Saccharomyces boulardii & spore probiotics such as Megaspore. With all antimicrobial strategies, start low & work up. Use high protease and cellulase enzymes to help with die-off, such as with Candida Control by Enzyme Science. Pathogenic E. coli can cause inflammation and structural changes to the intestinal "gates" to initiate infection & mucosal dysfunction too (8). A robust mucosal barrier helps prevent opportunistic infection. To support E. Coli overgrowth, as well as food-borne pathogens like Salmonella enterica, I like berberine, oregano oil, or colloidal silver. These can be used alone or in combination with monolaurin. SIBO is such a broad subject that I'd need an entire course to discuss it. SIBO is the result of overgrowth of healthy or pathogenic microbes in the small intestine. It can be a result of an inflammatory, high-carbohydrate diet, recurrent constipation, as well as a history of antibiotic or anti-fungal use. The usual suspects of H. pylori & Candida are often involved too. Surprisingly, healthy bacteria such as Lactobacilli can also become overgrown in SIBO. SIBO presents alongside leaky gut & mucosal dysfunction. Does your probiotic contain Lactobacilli strains? You may want to take a break from it in the short-term if you suspect SIBO. SIBO is promote, in part, by poor motility in the gut. When food does not move through the gut efficiently, your gut will ferment the food earlier in the gut - leading to gas and bloating where it is not expected. This can cause both constipation and diarrhea - as well as stomach pain, distention & excessive burping or gas. Once SIBO is present, certain starches and fibers in healthy food can potentiate it. SIBO treatment can involve specialized diets & you must time strategies appropriately as performing steps too early or too fast can lead to SIBO relapse. Individuals with SIBO go through a period of killing off both good & bad bacteria & followed by a period of slowly adding back the good bacteria (& dietary starches/fibers) as inflammation calms. If you suspect SIBO, you'll save time & money by seeking professional coaching. A practitioner versed in functional medicine can help you navigate the steps of ridding food, killing bacteria, adding back probiotics & maintaining gut health long-term. 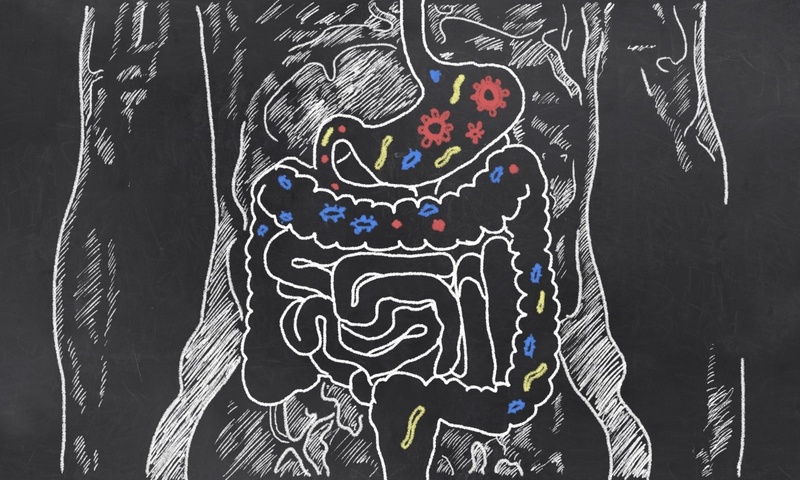 For a deeper SIBO discussion, check out my collection of SIBO articles. In addition to antimicrobial and probiotic strategies, motility support is an essential component of preventing relapse & recurrence of SIBO. Motility support is one of the most important missing links in SIBO care. Candida overgrowth can be present alongside SIBO in as much as two-thirds of cases. If strategies are strictly focused on bacteria - yeast growth will bloom. I mentioned monolaurin & caprylic acid above as natural options to support normal yeast growth. Saccharomyces boulardii (a strain found in RestorFlora) is also supportive. I detail spore probiotics in Strategy #6. For motility support, I use MotilPro by Pure Encapsulations. Iberogast is an herbal mix used by many practitioners for motility too. Think of the gut as a 3-layered tube. Gut microbes comprise the inner area of the tube. Here, they interact with the non-sterile slurry delivered from the stomach. The slurry can contain pathogens & harmful proteins. The middle layer is the mucosa - this is the connective cushion that contains immune cells and "food" for gut microbes & fuel for immune cells and our gut lining. The next inner layer of the tube is the cells of intestinal lining ("intestinal epithelial cells"). 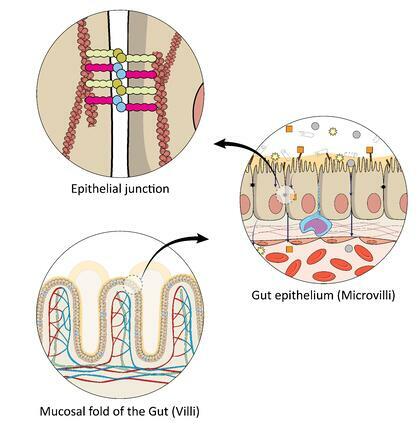 The absorptive folds known as "villi" provide surface area for absorption. Between the cells of the folds are microscopic junctions. These tight junctions comprise the physical "gates" that control what gets into the blood & what stays out. "Leaky gut" refers to the unintended opening of these gates. The intestinal lining is the last layer of defense between the outside environment & the inside world of the bloodstream. It also coordinates cross-talk between the mucosa, the immune system, & bacteria (9). L-glutamine is a first-line option for mucosal support. It fuels the growth of intestinal cells and immune cells. While it is readily available in most diets - L-glutamine is conditionally essential - meaning it is the first to go when we are stressed or immune-compromised. This is partly why your gut tends to take a beating when under stress. Supplementation supports healing when in any compromised state. When healing the gut I take L-glutamine at 10g three times per day. I may go higher in individuals with larger body size. Many doses will contain just 3-6g of L-glutamine per serving - increase the intake as you may see fit. Here are the L-glutamine products I recommend most often. Zinc carnosine deserves a strong mention for direct lining support. It is one of the more underrated supplements & one of my favorites. A series of studies were discussed in a 2007 article published in Gut. The authors commented on zinc carnosine’s ability to help “stabilize” gut mucosa and promote repair (13). Check out my previous article on Zinc Carnosine benefits. L-glutamine & zinc carnosine are only part of the story. Microbial toxins and food proteins irritate the mucosa & delay healing. A strong strategy to protect the mucosa is to add supplemental immunoglobulins. The mucosa has a physical structure to it. This structure is composed of amino acid building blocks. The four most important amino acids for mucosal repair include: L-proline, L-serine, L-threonine, & L-cysteine. Plant compounds known as polyphenols help reduce inflammation, absorb oxidative stress & help promote healthy bacteria. MegaMucosa by Microbome Labs is a pleasant-tasting powder that contains immunoglobulin, polyphenols, & four building-block amino acids to support mucosal repair. Mega IgG2000 is also useful as an additional source of immunoglobulins in capsule-form. L-Glutamine directly supports the growth of immune & intestinal cells. Zinc Carnosine directly supports mucosal healing, tissue re-growth & supports resistance to future stress. It may offer anti-aging & longevity benefits that we're just beginning to understand. Immunoglobulins grab and bind irritants - neutralizing them & preparing them for elimination. Polyphenols (citrus bioflavonoids) help reduce inflammation and support microbial diversity. Healthy bacteria in the gut activate immune signals that are essential to the production of healthy mucus in the gut & intestinal cell maintenance. The mucosa and gut flora work symbiotically. Each works to maintain the other. When this symbiosis breaks down, the gut becomes impaired & "leaky" - leading to the nutrient & electrolyte imbalance, as well as susceptibility to pathogens & the absorption of harmful proteins. Adding back probiotics improves the important selectivity of the gut lining to invaders. Healthy gut bacteria also compete with pathogens for resources & lessen the risk of acute infection with species like Clostridium difficile, E. coli, and Salmonella enterica (17). 1.) The presence of unhealthy bacteria (or absence of healthy bacteria) promotes inflammation. 2.) Inflammation invites leaks in the mucosa. 3.) The leaks fuel systemic disease (18). Gut-friendly bacteria produce prebiotic compounds of their own & crowd out competing microbes - allowing a broad array of diverse flora to flourish naturally. A gut reboot requires aspects of both adding back healthy flora - while also supporting the mucosa. Rule #1: Probiotics need to make it through the stomach acid alive. We are colonized as infants with gut flora through development, birth & breastfeeding in the first two years of life. When our gastrointestinal system matures, the stomach pH acidifies into a much more protective barrier. The newly acidic stomach now kills the majority of "live" probiotics. The stomach acid kills supplemented probiotics before they ever reach the intestines. Once colonized as babies, we maintain the flora we received from birth and breastfeeding by consuming different fibers and starches in our diet. If we eat a limited diet, stress ourselves out, take antibiotics, eat sugar, or drink lots of alcohol as adults - we beat down our flora and lose diversity - and ultimately degrade our gut mucosa! I use Master Supplements probiotics like Theralac, Trubifido & Truflora to re-establish gut flora. The company has a patented "Acid Proof Delivery" method that allows the probiotics to be delivered alive - deep into the intestines. Moreover, the company couples the unique delivery with another patented "Lactostim" ingredient that helps rehydrate and feed the bacteria once delivered in the gut which gives it an advantage against enteric-coated probiotics. Other name-brand probiotic brands can be high quality - but you need high dose per each probiotic strain (I use 10 billion CFU, per STRAIN) to provide the right probiotic support. This worry is irrelevant with Master Supplements products. They boast fantastic dosage and quality control measures with a patented delivery system. Rule #2: Spore probiotics live in the soil. These soil-based organisms are gut microbes that use dirt as the vector into our body. All mammals confer immune benefits from spore probiotics. Our ancestors had daily interaction with dirt from foraging, hunting, outdoor activity, and living in less sanitary living environments. Spores germinate to live organisms and reside in our small intestine for 7-21 days. Then, they turn back into spores - allowing for elimination from the body. They remain in spore form in the soil for years until they are picked up by another host. Modern lifestyles are deficient in exposure to soil-based microbes & spores. Regular intake of spore probiotics resupplies this missing stimulation. Spores help crowd out unwanted organisms, promote diversity of other flora, and produce organic acids, short-chain fatty acids (SCFAs), B vitamins, and vitamin K2 for our body. A leaky gut leads to the absorption of endotoxins in the systemic circulation as well as increased risk of inflammation and altered metabolic signals. A clinical trial conducted at the University of North Texas demonstrated that 30-day supplementation of spore probiotics significantly reduced blood endotoxins ("metabolic endotoxemia") by a net 78% difference (p=0.011) & triglycerides by a net 19% (p=0.011) compared to endotoxin & triglyceride levels in the placebo group. The spore treatment group also had significantly lower inflammatory markers & ghrelin (a hunger hormone) than the group not receiving the probiotic (19). Because of the natural 7-21 life cycle of spore probiotics - supplement with them on a "three days on, seven days off" basis indefinitely to maintain their levels in the body. Initially, take them for 30-60 days straight before moving to the "three on, seven off" schedule. Start low & work up to the dosage at first as with most probiotics, prebiotics or antimicrobial extracts. Since most of us do not play in the dirt regularly or eat soil-dusted food like our ancestors, I recommend supplementation with spore probiotics to assure we're receiving the gut and immune benefits of soil based organisms. I use Megasporebiotic, Restorflora, HU58, and to a lesser degree, Truflora to support spore diversity - Microbiome Labs is the industry leader for spore probiotics & have created a fantastic, clinically-studied suite of products for the gut. Rule #4: You cannot supplement with some healthy bacteria in the gut as the gut is naturally an anaerobic (no oxygen) environment. Anaerobic bacteria cannot survive the oxygen-rich environment of a capsule powder. Use PREbiotics to promote the growth of these strains. I discuss prebiotics in the next section. Fibers and starches in our food cannot always be broken down by us. Gut microbes ferment and break down these substances for us. 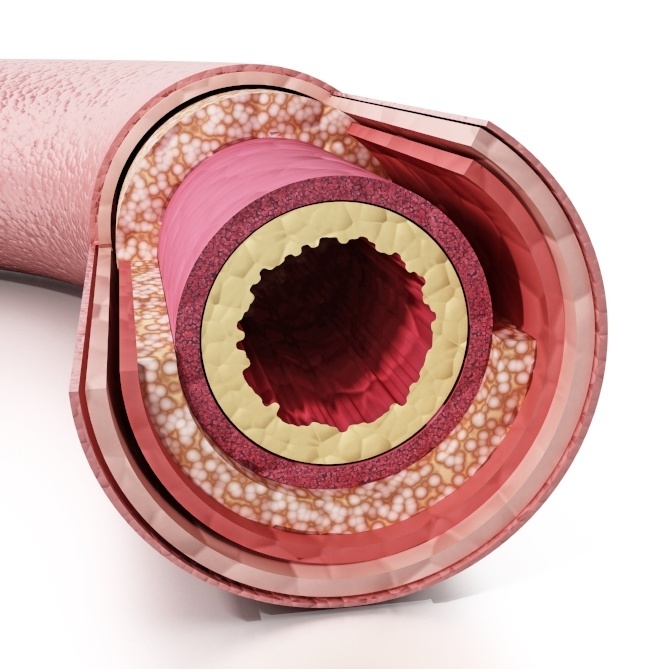 In return, they produce invaluable substances such as Short Chain Fatty Acids (SCFAs), B vitamins, and Vitamin K2. SCFAs support healthy mucosa by promoting the production of mucus & regulating immune cell development locally in the gut (20). Spore probiotics increase SCFA's by as much as 40% - and clinical research being readied for publication demonstrates that spores also double to quadruple the diversity of other gut flora (likely due to enhanced production of SCFA's). In the absence of sufficient fibers & starches, healthy bacteria starve & microbial diversity drops. Yeast & opportunistic organisms also grow & take up more areas in the gut. Ancestral diets were rich in food diversity. It wasn't until the advent of modern agriculture that our diets became less diverse. Human ancestors consumed numerous varieties of plants, animals, insects, and roots and tubers. Now, we eat a much more limited array of foods in our diet. The modern diet is unnaturally high in monocultures of wheat, dairy, corn, and soy. There used to be thousands of varieties of these foods - but now we eat limited variety with industry-friendly, hybridized versions of the same food. The lack of diet diversity leads to a lack of microbial diversity in the gut. It also increases the chances of developing sensitivities & intolerances to foods. If adding food diversity leads to too much gas, bloating, or general discomfort - chances are you need to eat less starchy food for the time being & address the balance of gut flora either by killing overgrowth - and/or adding probiotics. Symptoms are a sign that you are lacking the bacterial balance in your gut to ferment these tough-to-digest foods. Focus on ridding the gut of overgrowth, reconditioning the gut & promoting keystone strains of bacteria like Akkermansia muciniphila, Faecalibacterium prausnitzii, & Bifidobacteria spp (check out MegaPrebiotic for precision probiotic support of these strains). Be careful of Lactobacilli spp. early in recovery as these probiotic strains can be overly immune-stimulating & be contraindicated in overgrowth profiles (at least in the short-term). Use products like Megaspore, RestorFlora, HU58, & Trubifido & "graduate" to other formulas like Theralac & TruFlora as your system tolerates. After 1-3 months of support, start feed bacteria using prebiotics such as MegaPrebiotic, TruFiber or Biotagen. Introduce them in that order as the range of bacteria increase with each formula. Long-term, I rotate the formulas month to month and even day to day to keep my system guessing. The mucosa itself will slowly repair & rebuild. Smooth this process along using products like MegaMucosa & Mega IgG2000. As mentioned above, zinc carnosine and L-glutamine are well-known mucosal repair products. As with any therapy with the gut, start SLOW, and work your way up in measured ways. Seek professional opinion as needed. If that is not helpful, consider a gut reboot with a full or partial elemental diet and anti-inflammatory support like Curcumin - which is one of the most researched & well-supported extracts known to clinical nutrition. Seek professional counsel regarding other specialized diets - low-FODMAP, specific carbohydrate diet (SCD), GAPS protocol, autoimmune protocol (AIP), or other personalized nutrition or medical instruction. Most of these specialized plans are short-term diet interventions - not intended for long-term use. The goal is to fix the gut & mucosal defense so you do not have to eat a limited diet. The gut has a vast nerve network known as the enteric nervous system. Irritation or altered nerve firing patterns are related to GI dysfunction. These nerves also regulate the gut mucosa. The first step in addressing the enteric nervous system is to manage & reduce stress. This will calm the "fight or flight" nervous system, and help recover & strengthen "rest & digest" functions. Cortisol is your primary stress hormone. It acts as a natural anti-inflammatory & steroid-like compound in the body. Excess cortisol degrades the gut lining & suppresses the immune system. This is why you can "give yourself an ulcer" when stressed out. Stress thins out the mucosa & suppresses the immune system - ulcers develop at unprotected sites. Stress can be approached by many directions, with or without supplements, yet many will turn to adaptogens for good reason. These herbs have a dual-effect to help your body "adapt". They help support a stress response when it is down, and help calm a stress response when it is elevated. I like HPA Adapt to support energy, Cortisol Manager and/or Lavela for calming support, & Mycobotanicals Stress Decompress for a little bit of everything. 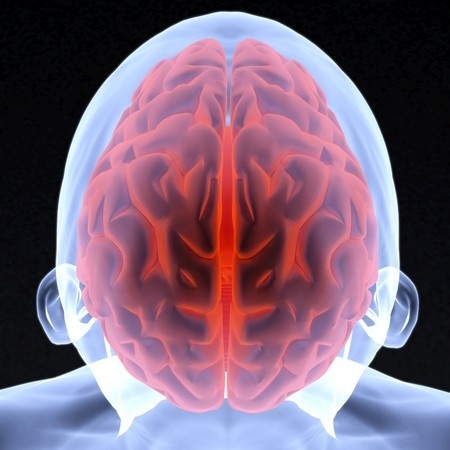 The gut is the body's "second brain." It contains a distinct nervous system known as the "enteric nervous system." The nerve component of mucosal dysfunction is an under-appreciated aspect of re-establishing gut health. Stress, sugar, immune attacks, overuse & fatigue damage the nerves of the gut too. Damage to these nerves affects motility as well as the production of enzymes & mucus. One of my favorite nerve protectants & repair agents in Lion's Mane. Lion's mane is a medicinal mushroom known for boosting focus and cognition - AND, it also helps repair damaged nerves - including enteric nerves. Healthy function of the enteric nervous system, specifically the vagus nerve, triggers & maintains mucosal health. Host Defense Mushrooms Lion's Mane is my preferred source of Lion's Mane. 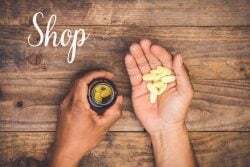 If you can tolerate the taste of the alcohol-based tincture - it is slightly preferred over the capsules since the alcohol extracts a broader array of the active compounds. For ease of use, the capsules are still definitely worth it. Since all of Host Defense's mushrooms are grown in-house, you will not find a better cost for potency either. Each purchase supports the "Save the Bees" initiative too - Host Defense is a fantastic company from top to bottom. Next, a new player to my toolbox is Palmitoylethanolamide or PEA. PEA is a nerve protectant that works on the cannabinoid system as an anti-inflammatory. If you ever shied away from CBD products due to cost and questions on its efficacy, PEA finds the balance you might have been looking for. I like PEA+ by Enzyme science. It combines PEA with curcumin for a great one-two punch combination for mucosal inflammation - but also I love that it's been specifically shown as a nerve protectant. Add it to the list, you'll be hearing more about PEA as regulatory control over CBD and synthetic pharmaceutical versions of CBD make it to market. The CBD party may be on its way out, but PEA is on the rise and may offer similar benefits for much less cost. PEA+ by Enzyme Science is my choice because it's the only version on the market today that does not use a synthetic solvent called toluene for extraction. It uses PEA from safflower lecithin found in safflower seeds. The vagus nerve is the master control nerve of your digestive system & your parasympathetic nervous system. It also controls heart rate & breathing. Vagus nerve strengthening has been gaining popularity as an important component of gut health & longevity habits. Gargling, singing, humming, cold exposure (cold showers/ice baths), coffee enemas, Valsalva maneuvers & deep, diaphragmatic breathing are all evidence-based strategies used to strengthen the vagus nerve. The vagus nerve is also subject to attack from infections like those discussed above. Bacteria, viruses, molds, and fungi all produce toxins and inflammation that can directly injure nerves - including the vagus nerve. You can support your immune system with many of these stealth infections with monolaurin. Reishi is a great whole body tonic that, like curcumin, is one of the most popular & researched medicinal extracts in the world. Keep hidden infections in mind as you personalize a recovery strategy. Seven complete strategies for supporting mucosal health & a bonus discussion on the health of the vagus nerve and enteric nervous system. Consider these options as a toolbox - not the complete story. Support does not need to require taking twenty different supplements at a time. Understand that you can approach the gut mucosa from many directions. Personal direction depends on the level of inflammation, immune activation, and gut dysfunction. Supplement wisely & seek professional counsel as necessary!